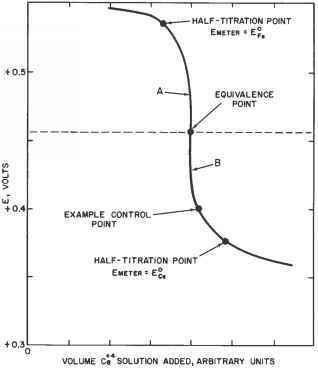 Figure 7.41.1 shows the approximate titration curve for the Fe2+/Ce4+ system in two sections. Section A proceeds from the top left to the equivalence point, and section B proceeds from the equivalence point down to the right. In the following example, Fe2+ is a noxious chemical effluent of a plant, and Ce4+ is a reagent added to produce the less noxious or inert Fe3+ form. A set of ORP electrodes monitors the reaction. 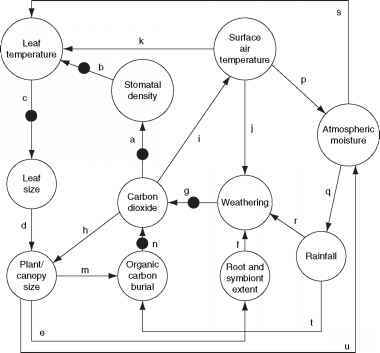 What value of ORP indicates that the reaction is complete? If the process operates to the end or equivalence point, the least amount of titrating reagent is used; however, a slight deficiency in the amount of Ce4+ reagent signifies that Fe2+ is still present. If the process operates to the ECe point, a large excess of Ce4+ reagent is required, which is costly and can require adding a substance to the treated wastewater that is just as adverse as the original waste. The best operating potential for this process is about +0.400 V. Only a slight excess of reagent is required, but all of the Fe2+ is oxidized. For ORP applications, operation away from the equivalence point is advisable, insuring that the adverse species is completely eliminated. FIG. 7.41.1 Approximate titration curve for the Fe2+/Ce4+ system.